A day off during the week. 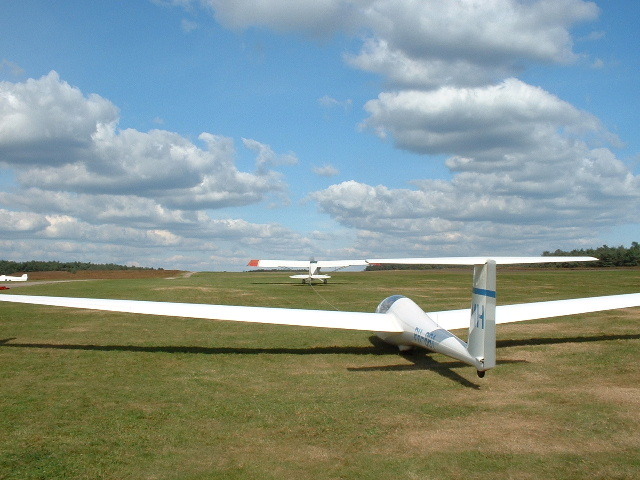 Gliding at Terlet airfield near Arnhem. Althought the day started off very windy, it turned out fantastic, cloudstreets stretching across the sky and 1200m cloudbase. Take a look at the photos I made, click on the photos on each Page to see a large picture. Enjoy.